If you’re looking for amazing, practical, bite-sized advice on how to incorporate small changes that turn into huge results in life, this is the video for you. 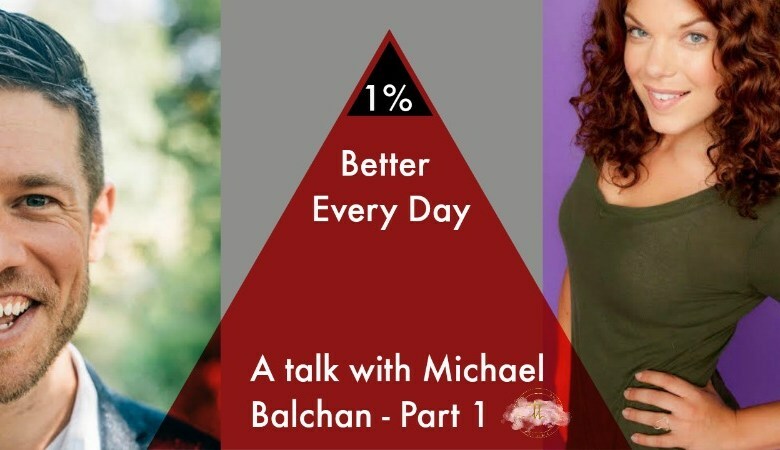 In today’s video, I interview Michael Balchan, mental coach to executives and inspired leaders, Harvard trained behavioral economist and psychologist with a master’s in Optimal Living, founder & CEO of efive.co, and all around amazing human. Michael is the author of Meditation: What, Why, and How to Meditate, part of a commitment to see 5% of the world’s population develop a daily mindfulness practice. He is also the artist of Plus One Pic Notes, daily illustrations that make personal-growth playful, practical, and accessible. He is a top 10% Ironman finisher, a world-class learner, a master practicer, and a committed partner. His award-winning work covers the intersection of personal growth, psychology, peak-performance science, optimal learning, physiology, habits, wellness, and our greatest spiritual and wisdom traditions. He teaches, speaks, and leads programs on related topics. Oh, and did I mention we met studying abroad in Spain… over 10 years ago! Do you have a daily mindfulness practice? Leave a comment below and let us know! Questions about working with Tessie as your personal health coach? Reach out anytime!